Transform Your Smile With High Quality Dental Ceramics! Porcelain veneers can create an almost instant smile makeover. These strong and incredibly natural-looking cosmetic dental restorations can beautify and brighten your smile, as well as dramatically enhance your overall appearance. That’s why people have been turning to porcelain veneers to fix a variety of smile problems ever since they were first created for Hollywood actors. If you’re ready to get the smile of your dreams, don’t hesitate to contact either Dr. Greg Riley or Dr. Duane Keuning to request an appointment! Porcelain veneers are wafer-thin sheaths designed to sit flush on top of teeth. After buffing down a very minimal amount of enamel to make room for them, veneers become part of your new smile and are capable of withstanding the daily wear and tear your current teeth experience. Because dental veneers are hand-crafted out of porcelain, they look natural – porcelain is chosen because it most resembles tooth enamel. Your cosmetic dentist will assess your smile to determine the optimum shape and size of your porcelain veneers before sending the information to a high quality dental lab to be created just for you. 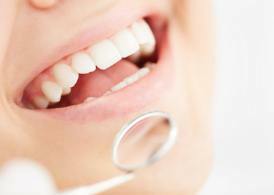 We give you the personalized touch during every treatment you receive at Juno Beach Smiles. If you’ve tried previous cosmetic treatments that weren’t as durable or didn’t quite whiten your teeth enough to meet your standards, porcelain veneers are a great step in the right direction. However, it’s important to note that you must have proper oral health before pursuing any cosmetic treatment, meaning any decay or gum disease will need to be treated first. Furthermore, you’d choose porcelain veneers when you need a comprehensive smile solution that’s durable, strong, and provides pleasing results. You choose Juno Beach Smiles because we’ve built a reputation for crafting excellent smile makeover results. The lifespan of porcelain veneers can vary depending on how regularly the person practices proper oral care. If the veneers become damaged, either from an injury, using your teeth as a tool, or chewing foods that can damage porcelain (i.e. ice or hard candy), then they are more likely to scratch. This makes them more susceptible to staining in the long-term. With that being said, veneers tend to last between 10 and 15 years before needing replacement. 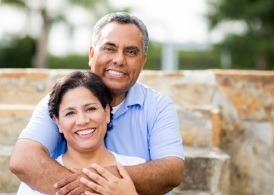 In some cases, veneers can last as long as 20 years if you’re more conscious of your oral health. To make your porcelain veneers last, make sure to brush them twice a day with a nonabrasive, fluoridated toothpaste for at least two minutes each session. Floss them daily to remove plaque from the edges of your teeth. Discontinue habits that may damage them, such as nail-biting or chewing on the backs of pens. 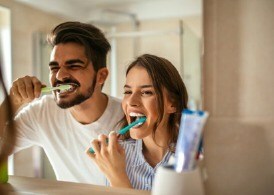 If you have an unconscious teeth clenching/grinding problem, purchase a custom-made nightguard from a dentist to prevent your veneers from cracking or breaking while you sleep. If you want to learn more about what porcelain veneers can do for your smile, contact our cosmetic dentist in Juno Beach! We happily serve patients from Tequesta, North Palm Beach, Palm Beach Gardens, and Jupiter, Florida. Let us create a smile for you that will really knock people out. That’s how Randi describes what Dr. Riley was able to do for her. Randi had multiple teeth with small cracks, and Dr. Riley told her that those cracks would likely grow and might require her to undergo multiple root canals to fix. He kept an eye on her teeth and eventually restored them with porcelain veneers, and Randi couldn’t be happier with the results. She says she loves how beautiful and natural her teeth look, and they fill her with confidence every day. Heather Augustine and her entire family are patients at Juno Beach Smiles, which includes her husband Matt, their 16 year old daughter, 13 year old twins, as well as Matt’s parents. She was interested in getting some cosmetic dentistry, but she was afraid that the results would look overdone and unnatural. Dr. Keuning put those fears to rest and was able to dramatically improve her smile using just two porcelain veneers, each one design with small imperfections to give them a more realistic appearance.